Fixed the points balance preview on checkout when switching back to a non points payment method. Fixed the points balance preview on checkout if a points gateway is pre-selected as a payment method. Each purchased product's vendor gets awarded the proportional points amount. Fixed the points balance preview on checkout. 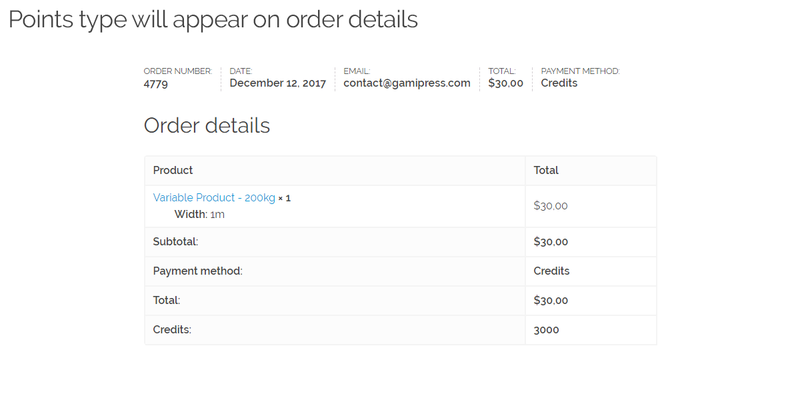 Fixed checkout error messages when user doesn't meet the required amount. Fixed some wrong text domains. Fixed wrong gateway on checkout when user is not logged in. 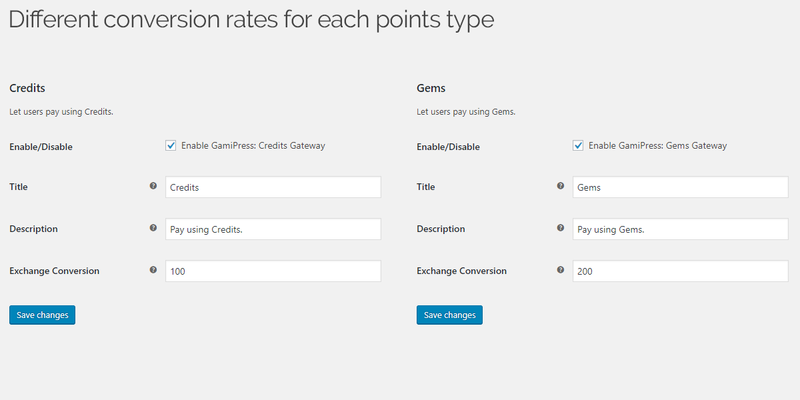 WooCommerce Points Gateway gives you the ability to use GamiPress registered points type as a payment gateway. Points will be awarded to the product’s vendor. Points total will be displayed at checkout and on order details. WooCommerce Points Gateway allows enable or disable new gateway per product? 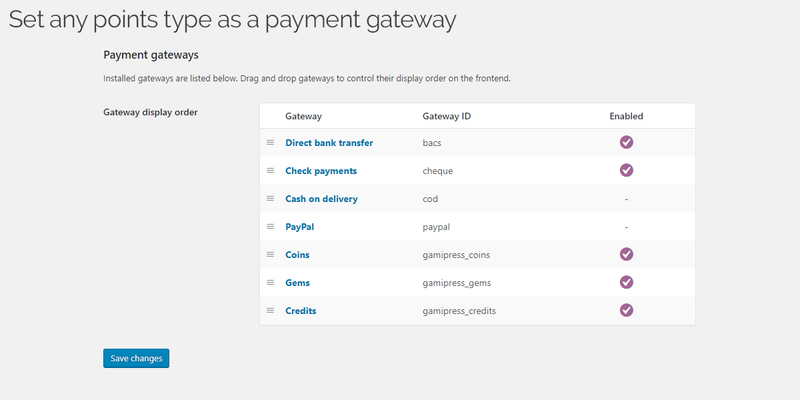 No, WooCommerce Points Gateway is designed to register each points type as a new payment gateway. The feature what you are looking for is known as “Conditional Gateway” and WooCommerce already offers a plugin specially for this purpose that you can check here. 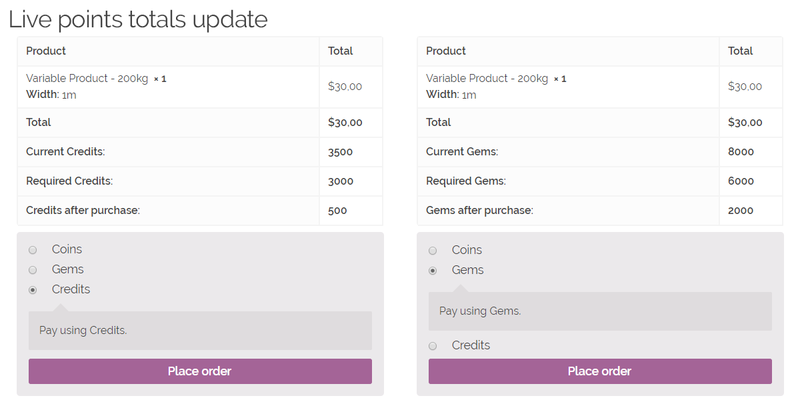 In addition you can use the WooCommerce integration to add activity events related to WooCommerce actions.